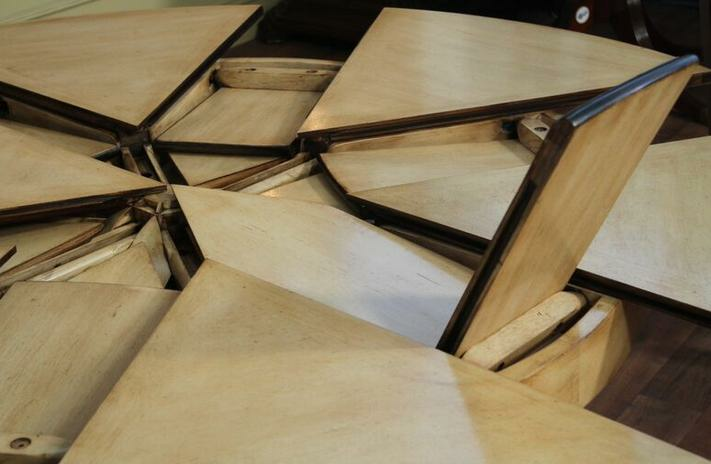 Expandable dining table with self storing leaves. 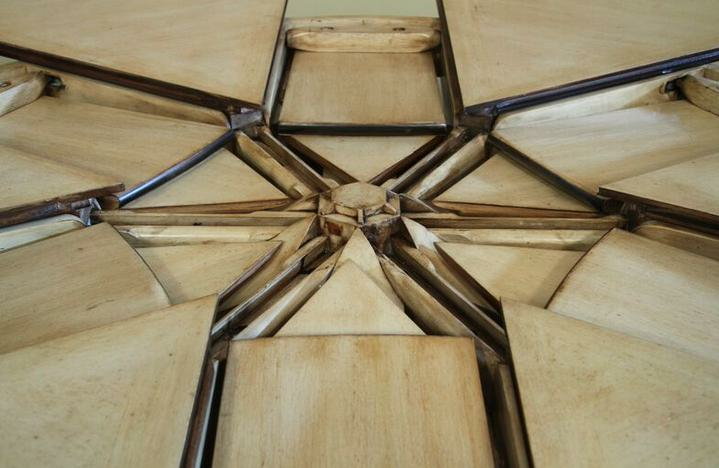 Bamboo accents give this table tropical style. 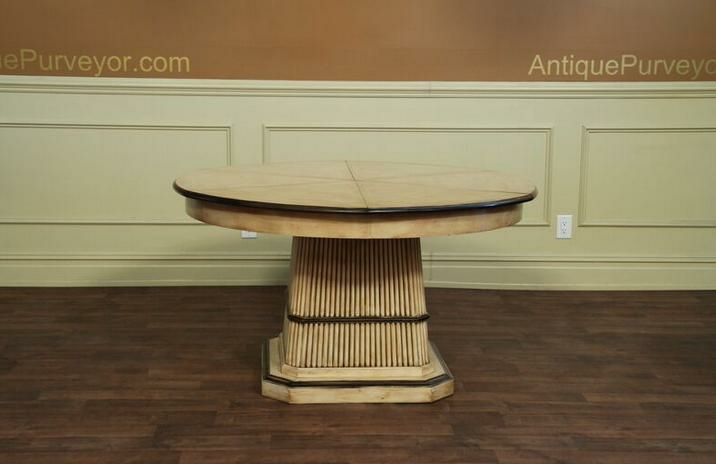 Tropical table easily expands to 84 inches with self storing leaves. 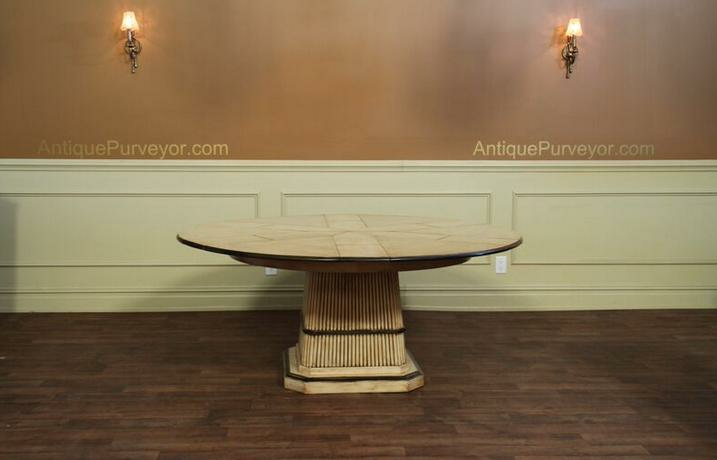 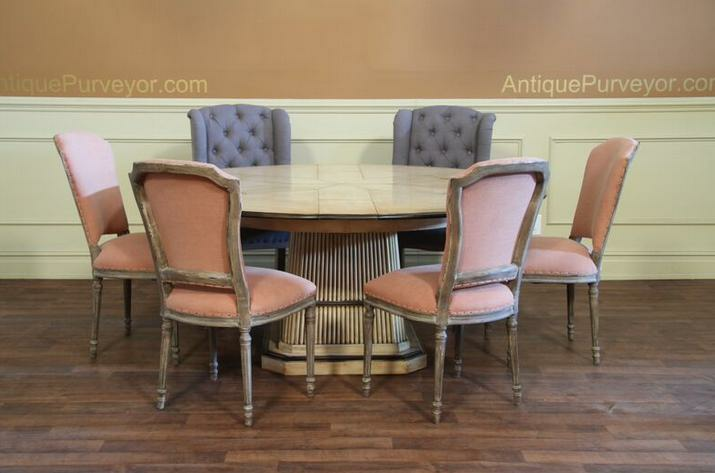 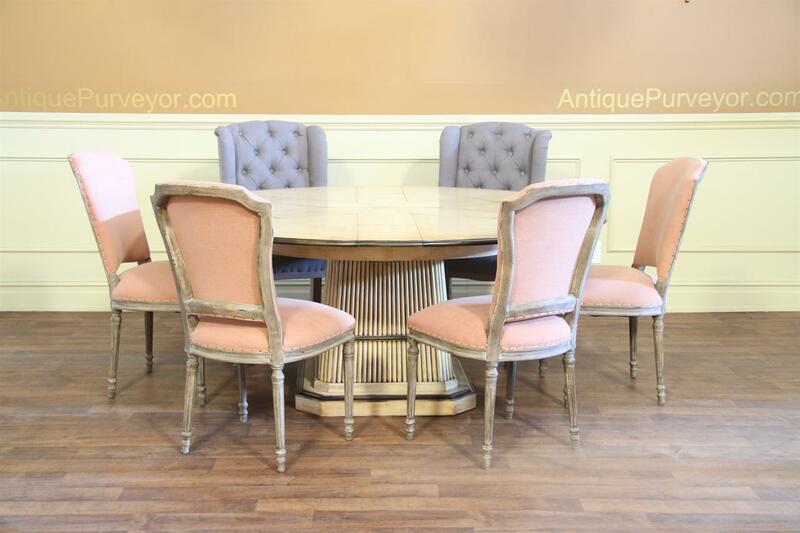 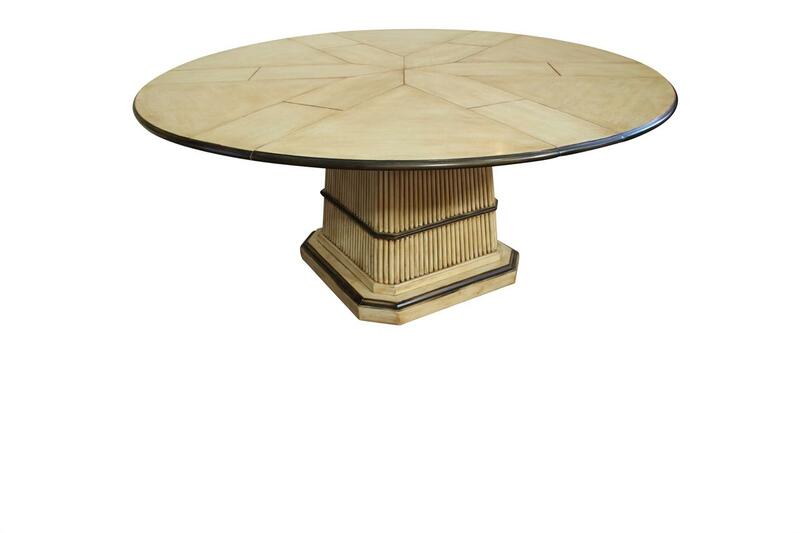 Description: Tropical style round to round dining table can be used from 54 70 inches round. 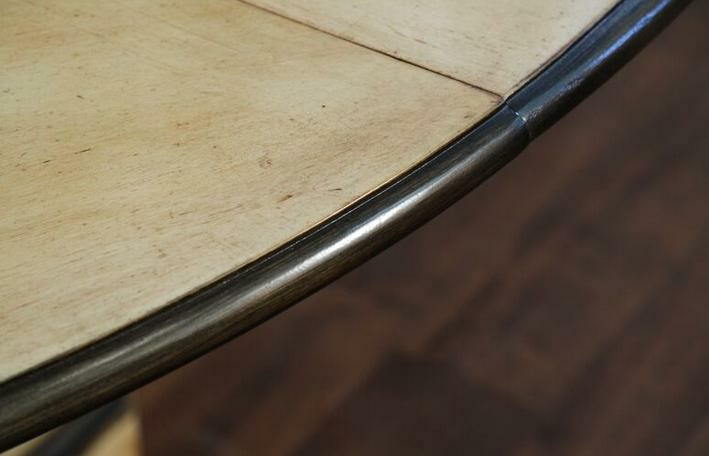 This table is made from solid walnut and the quality is fantastic. 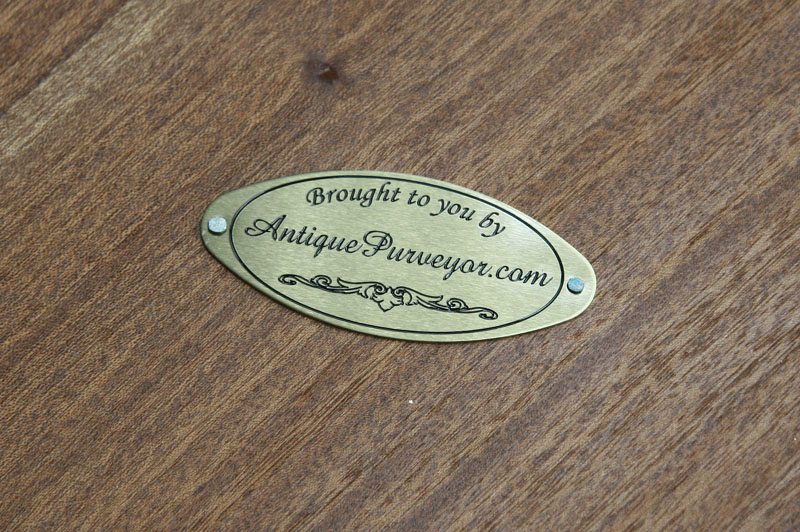 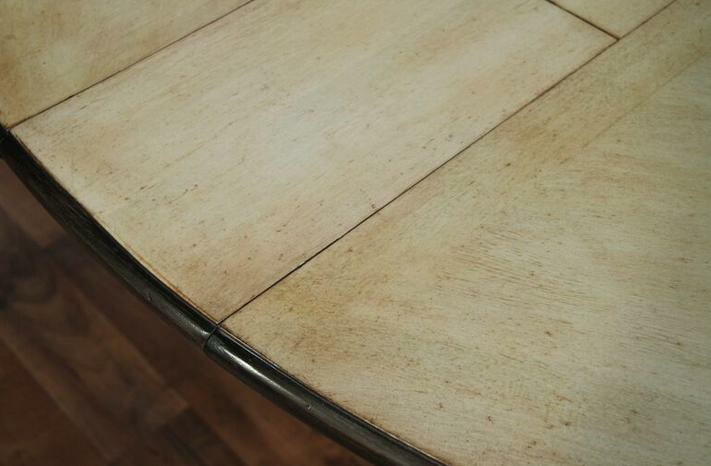 The table is finished with an opaque butter cream finish and brown glaze. 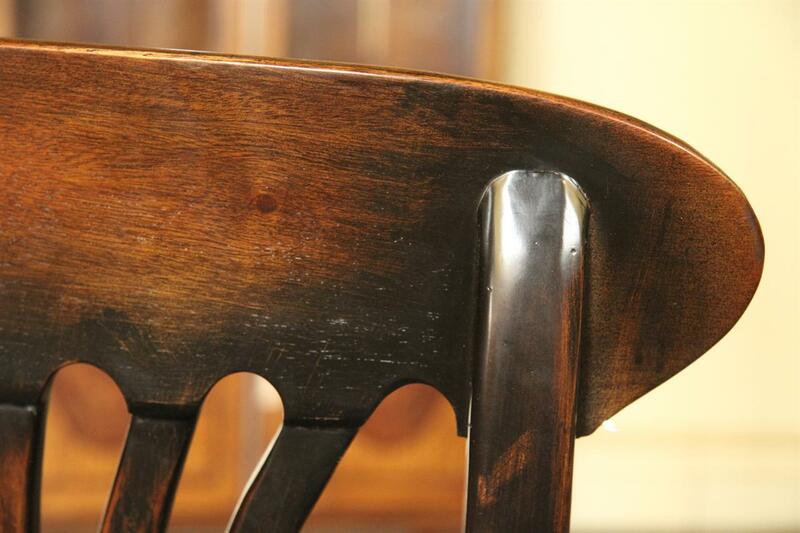 Some would call this a pickled finish. 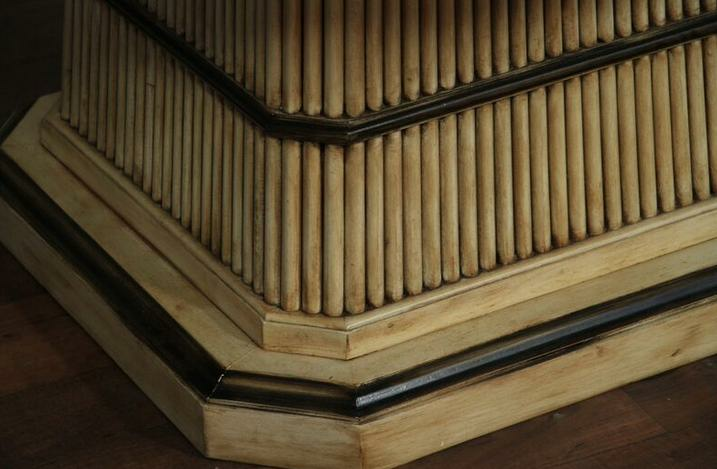 Table edge and pedestal trim is accented with ebony. 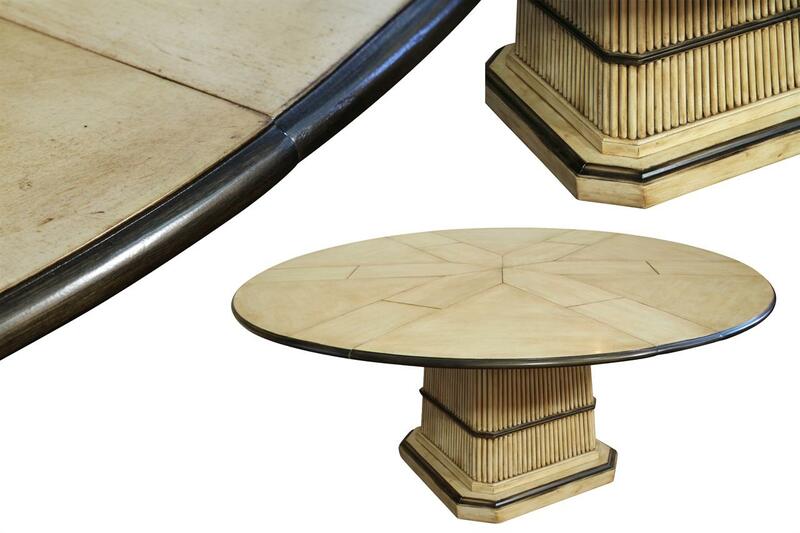 Perfectly designed tropical table for a beach house or casual space. 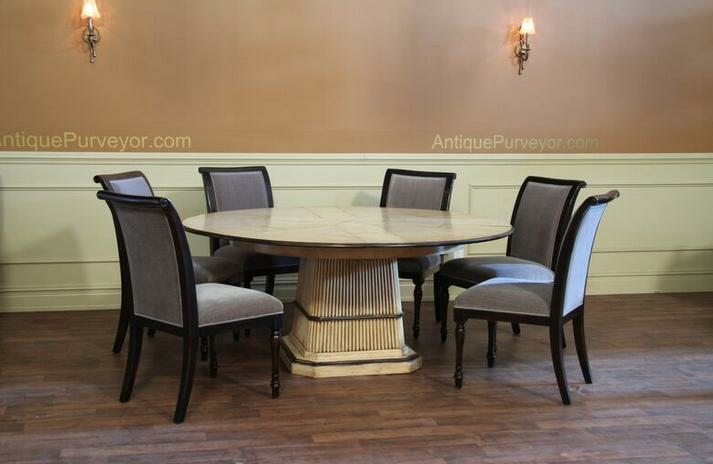 Works well in transitional dining areas as well. 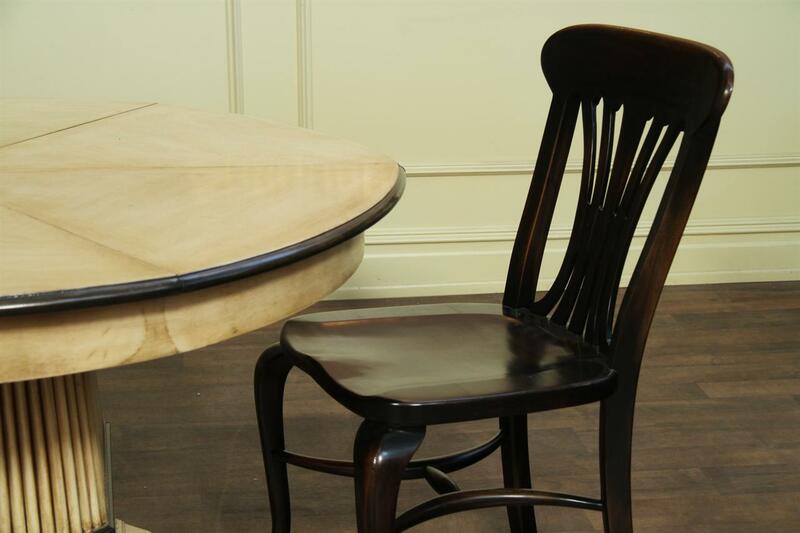 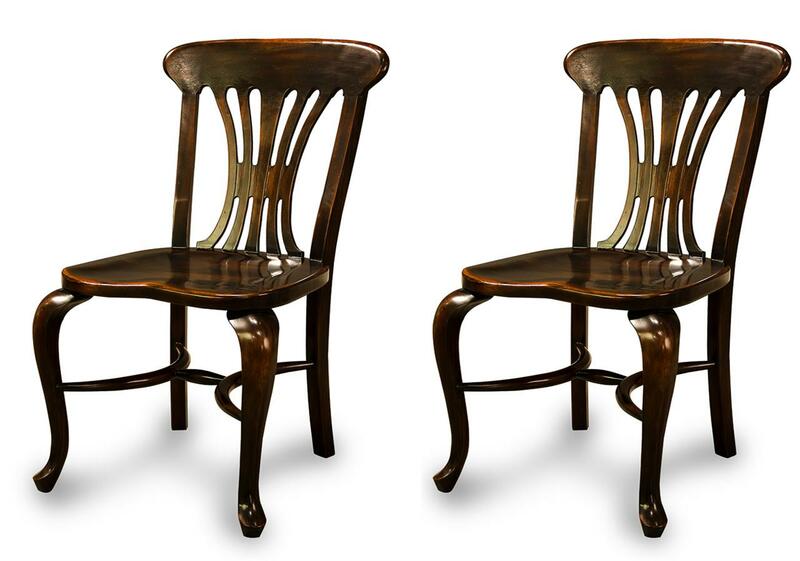 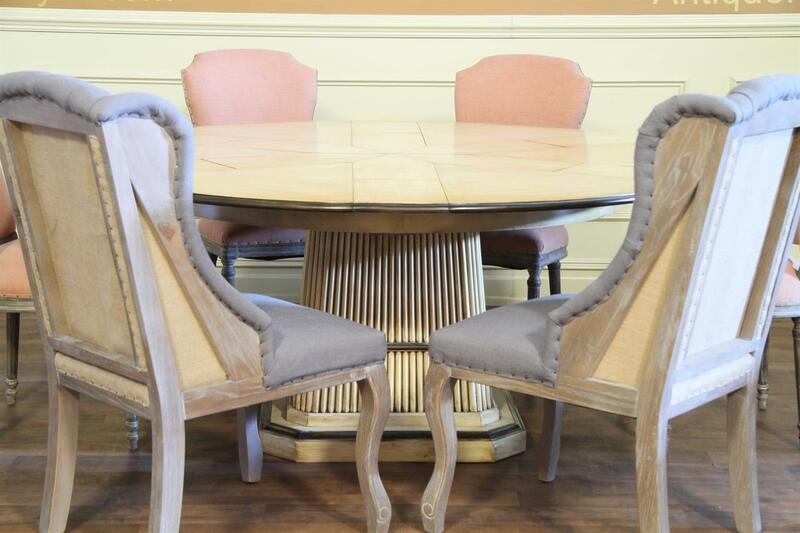 The blonde finish and the ebony trim makes it very easy to coordinate this table with a number of chairs.